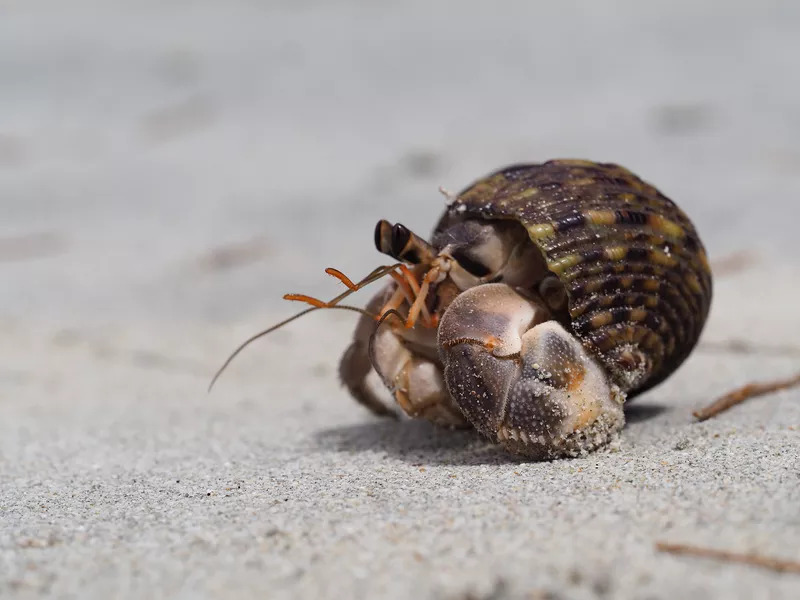 For topics on hermit crab related stores, and member reviews of them. Also for asking where to find an item. Retailers, please read the sticky regarding our rules before posting! I "rescued" 4 hermies yesterday from a friend of mine. Since I only had smaller hermies, I do not have any large/jumbo shells for them. Does anybody have their favorite seller? I don't need fancy shells..just looking for regular large/jumbo shells that will do the job..
Re: Best large/jumbo shell seller? My crabs aren't jumbo yet, but I'm sure that if you search Amazon for jumbo turbo shells, you'll find some. Now, they probably won't come in bulk like the smaller shells do, but I've seen them come with more than one. Naples sea shell company !!!!! I have found some really good deals on eBay. About 3/4 to 1/2 the price on other sites, most offer free shipping too! They are usually posted by shell size instead of opening size. I found that using this guide helps determine the opening based on shell length. As long as you follow the main black line straight across and down that determines the approximate length and opening for that type of shell. The green dotted lines above and below the black line is the average variances. Naples has a jumbo shell pack now, Mygann, people have recommended Hotel Crabifornia a lot on the FB account but I have never personally dealt with them. Larger shells are getting more and more pricey. If you go to a craft store you may find bags of murex shells with larger openings. Thrift stores may also be a good source; I got a whole basket of shells from one once for $5. I've used Napels, and I've also liked U.S. Seashell co for bulk buys, now that most of my crabs are well beyond "jumbo." I actually have some that I may be able to sell! I will miss you Lloyd! Good luck up In Hermie Heaven! I checked naples but they don't have 1 1/2"+ size snail shell. YES! He is such a picky crab!